This time of year it’s on everyone’s minds…How can I give back? How can I help make someones holiday a little easier? 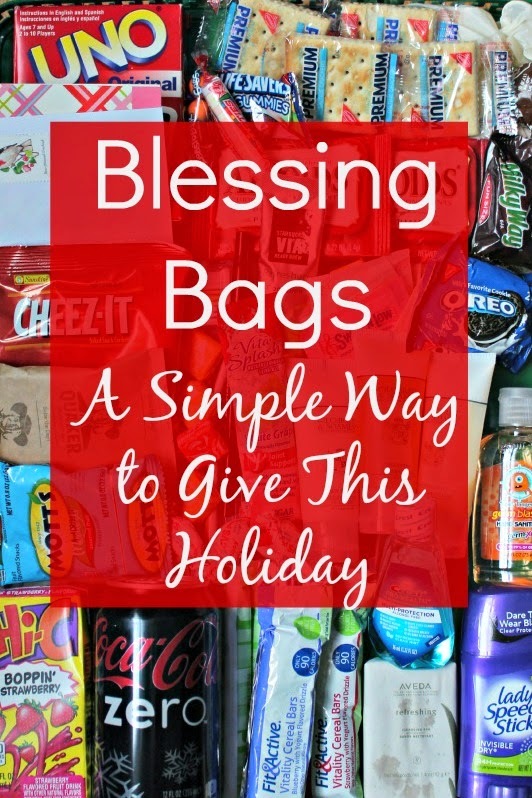 I am sharing a very easy way today with this Blessing Bags Idea. We live in Atlanta near a major highway. The exit we take to get to our neighborhood often has folks asking for money. Honestly, it used to make me uncomfortable. Now I am a little more used to it but it still breaks my heart every time. With Thanksgiving coming up, I was looking for a real way to teach my 3 year old about giving. A little act of kindness in his own community. So we made some Blessing Bags. I just grabbed a couple gallon ziploc bags and filled them up. With anything and everything I had on hand that I thought someone without a homebase would appreciate. Pen & Notecard- WITH stamp! I was able to fill up two bags with things that we had on hand. One thing I hope will be helpful is the note card with a stamp- perhaps there is a loved one they could write to this holiday? If not, hopefully they will be able to pass it along to someone who could use it. Now I have these in my car, and the next time we see someone that might appreciate a Blessing Bag, we will be ready to hand them out. I know this is a tiny gesture, but my hope is that it will help make someones day a little brighter. I hope you are inspired to do something similar! Love this idea Heather! I have a friend who always keeps a stack of ones and water bottles in their car for this reason. I am so glad that you shared this! There are a lot of homeless people a few blocks from where I live, and it breaks my heart. 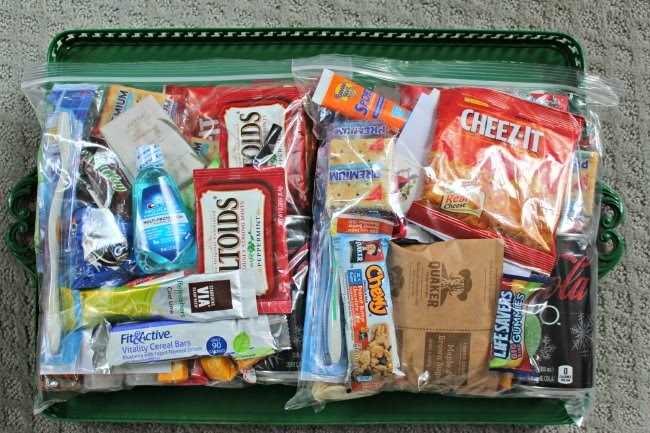 I have a really hard time handing a stranger cash, but I love the idea of being able to give them a blessing bag like this! 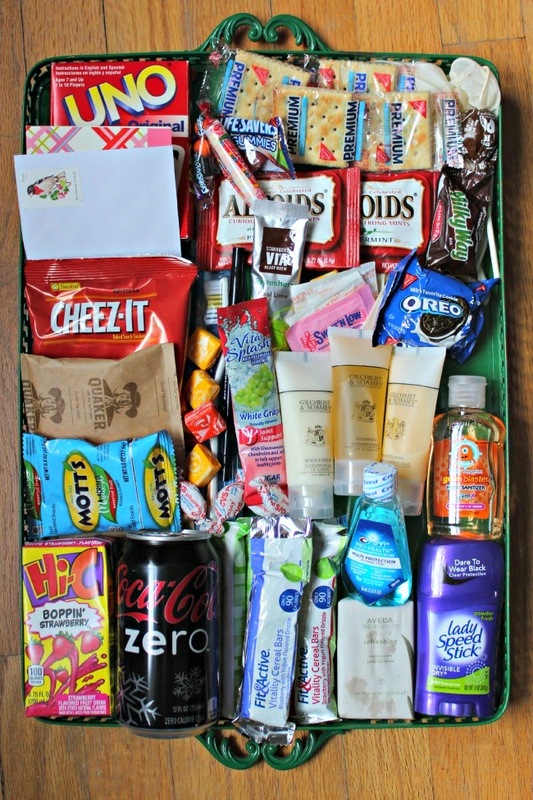 I've been scouring pinterest for hours looking for something inexpensive I could make for all the staff I work with. It's frustrating having such a limited budget and so many people I want to show appreciation to. Then I came across your post and instantly felt my throat tighten up and had to hold back the tears. I'm not even an easy crier, but something about your description about the neighborhood and what you're doing just really touched my heart. THANK YOU and have a BLESSED day.